Download Free jQuery Off-canvas Menu, Responsive Menu, Push Menu, Drop Down Menu, Mobile Menu, Side Menu, Context Menu, and other Navigation menu plugins at jQueryScript.Net. Page 7 . 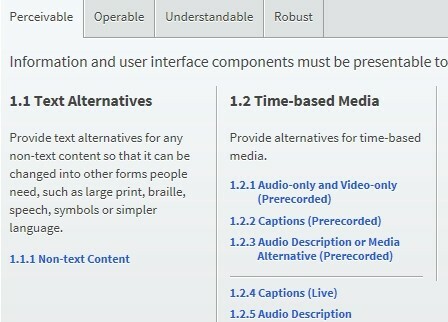 A jQuery navigation plugin for creating a keyboard and screen reader accessible mega menu on website which involves a lot of pages and/or products. Slyder is a lightweight jQuery plugin used for creating a responsive drawer navigation with a sliding effect, similar to the Facebook's drill down menu. 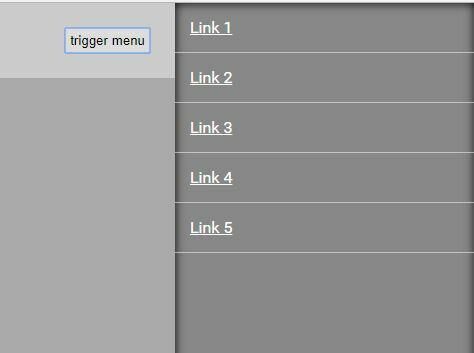 This is a small, handy jQuery navigation plugin for creating a mobile-friendly off-canvas side menu on your responsive, cross-platform web page. A pretty cool off-canvas navigation concept that pushes and zooms out the main content to toggle the navigation menu. 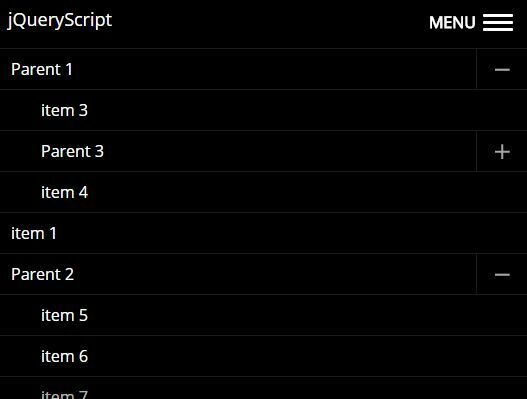 A jQuery plugin for content-rich webpages or single page webapp that automatically generates a menu list (table of contents) from all the h2 headling element within the document. 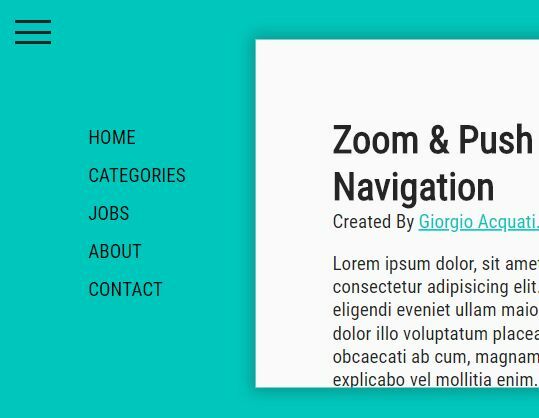 A jQuery extension for Bootstrap's navbar component that makes the fixed-to-top navigation bar auto hide as you scroll down the page, and reveals it again as your scroll up the page. 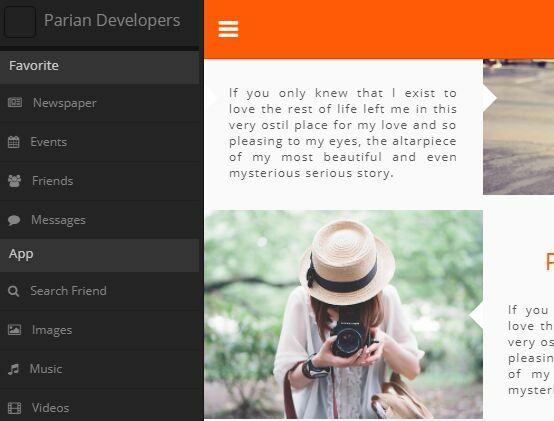 This project provides 2 navigation patterns (push menu and overlay menu) to create mobile-friendly, off-canvas navigation menus using jQuery, HTML and CSS/CSS3. 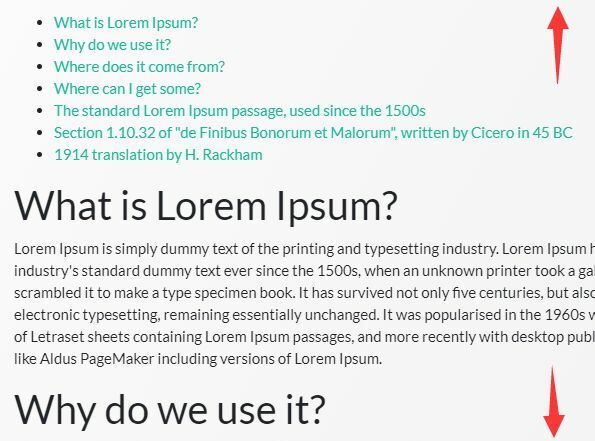 A jQuery based responsive navigation system that collapses the regular horizontal menu into an expanding hamburger menu on small screen (mobile) devices. 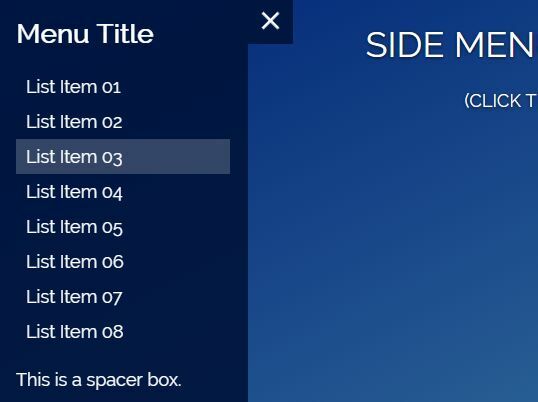 Section Navi is an easy and lightweight jQuery plugin to create smart up/down buttons that enable the user to navigate between content sections within the document. 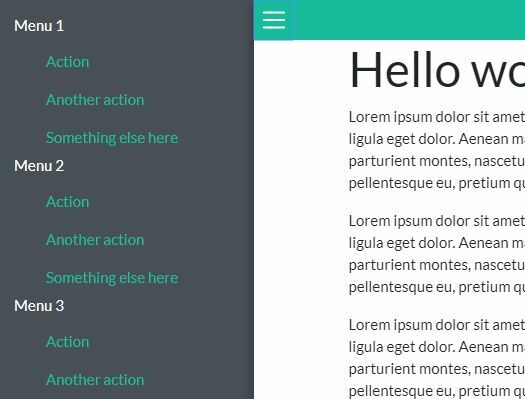 The Bootstrap4C Slidebars jQuery plugin makes use of adchsm's Slidebars plugin to create mobile-friendly off-canvas push menus and sidebars for Bootstrap 4 framework. 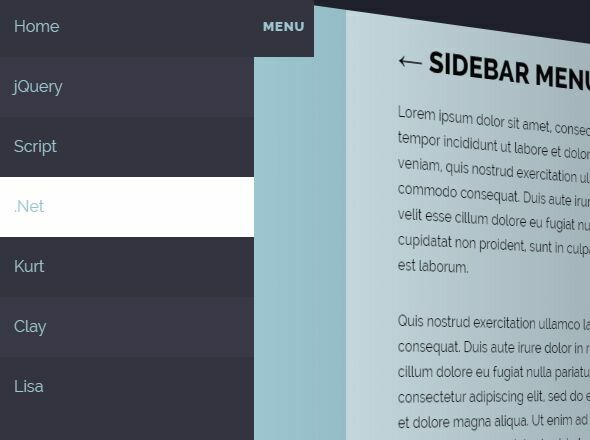 The Greedy Menu jQuery plugin makes use of Bootstrap's dropdown component to create a fully responsive navigation menu for your cross-platform, content-heavy web app. 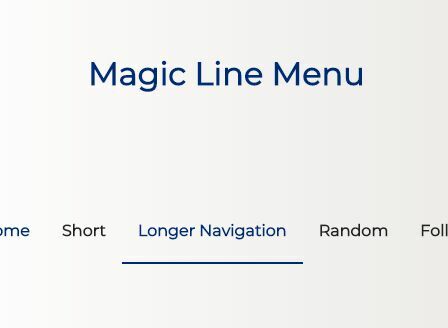 A small jQuery script that takes advantage of CSS3 transitions to create a magic line effect on your navigation menu on hover. 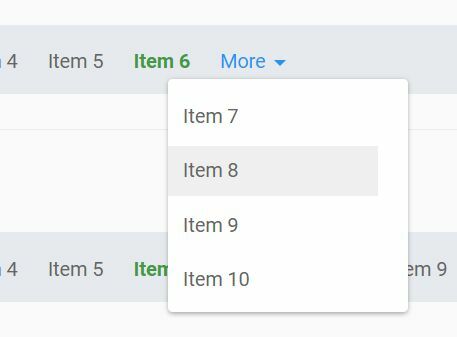 cookcodesmenu is a simple yet fully configurable jQuery navigation plugin that lets you create a responsive, mobile-first, multi-level dropdown toggle menu for your cross-platform webapp. 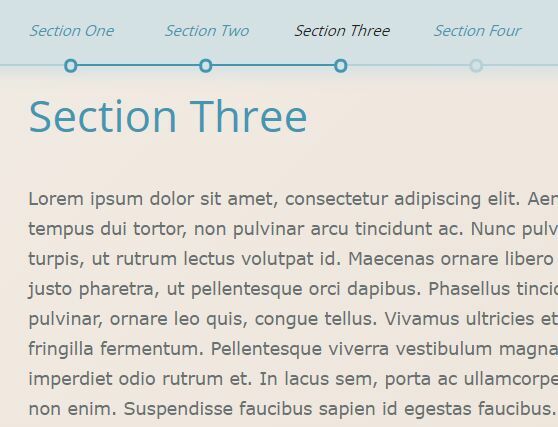 scrollNav is a tiny jQuery plugin that allows you to create a sticky scrolling sidebar navigation menu in long web pages. A mobile-friendly off-canvas hamburger navigation that slides from the left of the webpage and covers a specific part of the main content. 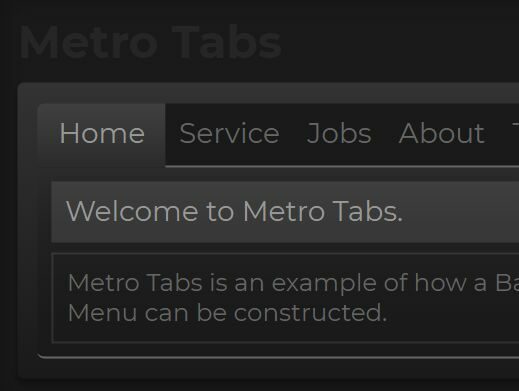 vmcMenu is a small jQuery plugin to create an animated, cross-browser dropdown menu for your site navigation. 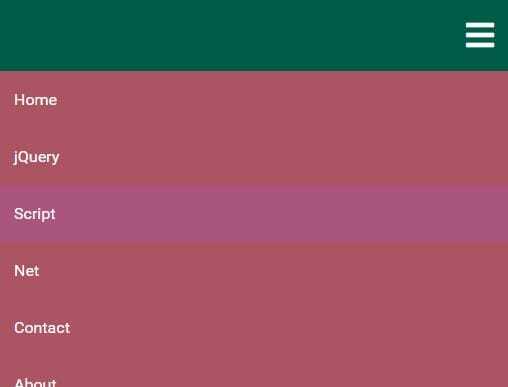 Yet another jQuery sidebar navigation plugin which lets you create an animated, app-style, fully configurable off-canvas side menu for the desktop or mobile web pages.